God created us to depend in Him. Just like a small child we are always dependent on God's love and care. In life we outgrow the need to be cared for by parents or guardians, but we must never stop leaning on Christ. One of the many great things about God being our Father is that He has many children. In Christ we have an abundance of siblings. God made us to depend on each other! We're not made to endure life alone. Jesus wants to experience His love through our Christian brothers and sisters. Don't be afraid to open up to a trusted friend. Make time to check on those you love. Experience friendships and Christian fellowship the way God intended you to. 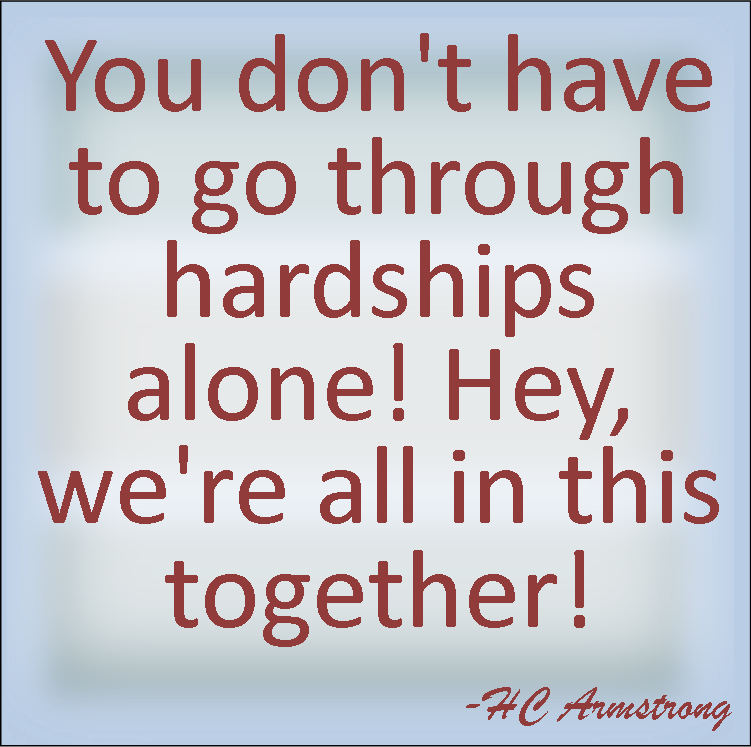 You don't have to go through hardships alone! Hey, we're all in this together!